You guys, Fall is right around the corner and I seriously couldn't be more excited! Just thinking about everything fall entails just has me craving all things pumpkins, layers, and oversized! I have to admit, I used to not be a huge fan of fall. I THOUGHT summer was my favorite season, but that was mainly because my birthday is in the summer. However, besides that magical holiday, there's really nothing about summer that gets me super excited. It's hot, you feel sticky, and the bugs are everywhere (yuck!). Not much to love, but FALL... Lord have mercy I can't wait for fall! 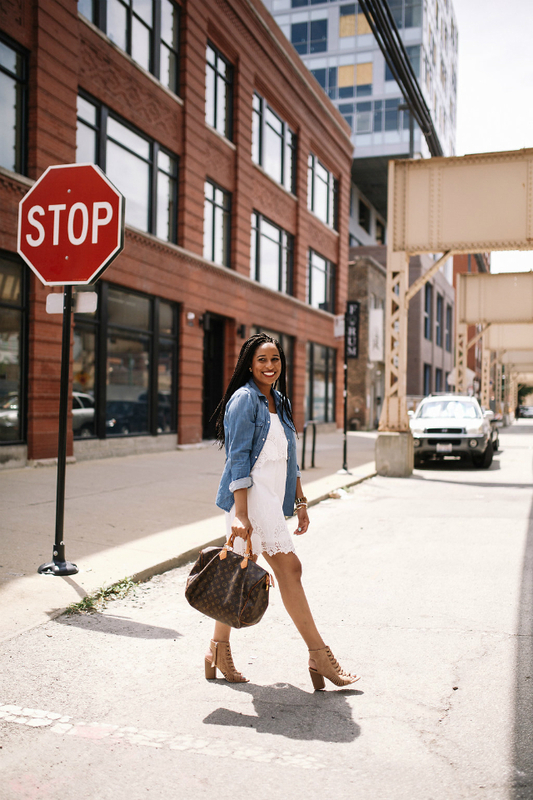 Although I'm super pumped for some chill in the air and fall fashions, I'm not quite ready to part ways with ALL of my summer staples. One of those being the 'little white dress'. I'm telling you, it's not officially summer until you wear all white at least one time and when the leaves start changing and falling, I'm not always ready to put my white away. Besides, I'm not one to follow the "no white after Labor Day" rule, I make my own rules! 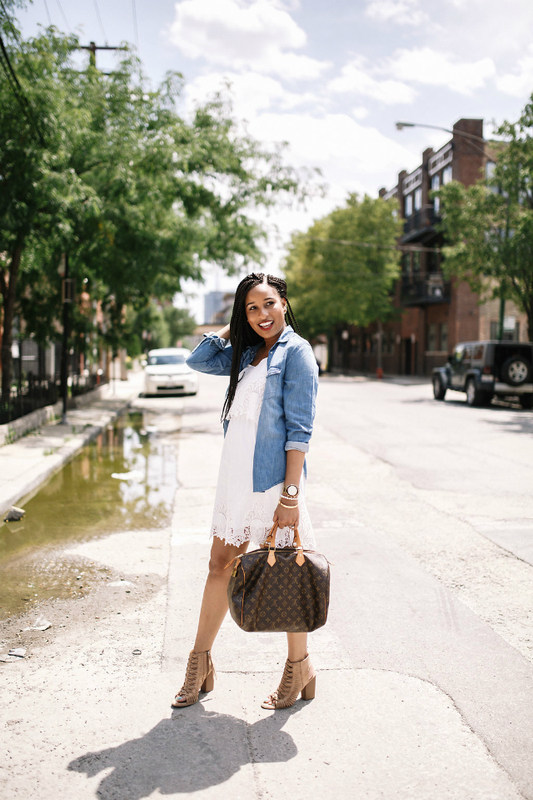 So when you want to transition your LWD into Fall, or any all white looks for that matter, you can do as I did and throw a denim shirt on top of it, or even a scarf or cardigan. Add some booties and you're good to go! 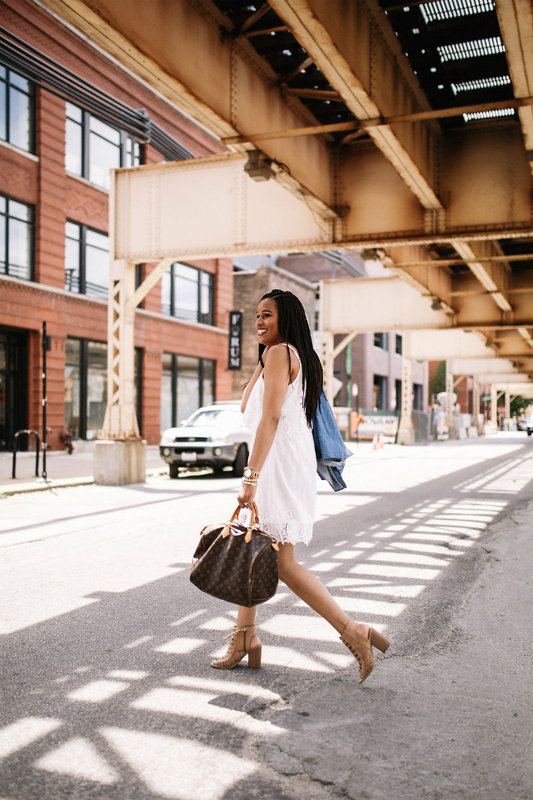 I really love the versatility of this white dress because I have worn it out to a fancy dinner with heels, but this look is totally casual! 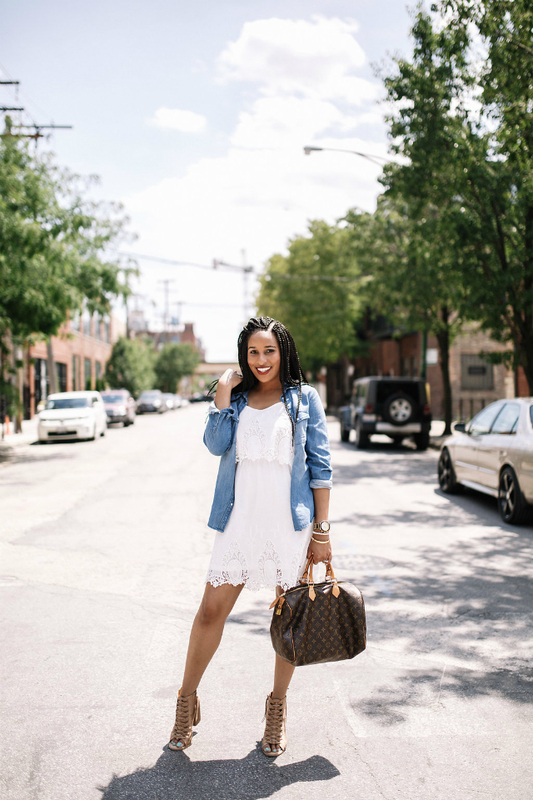 How do you style your all white outfits for Fall? 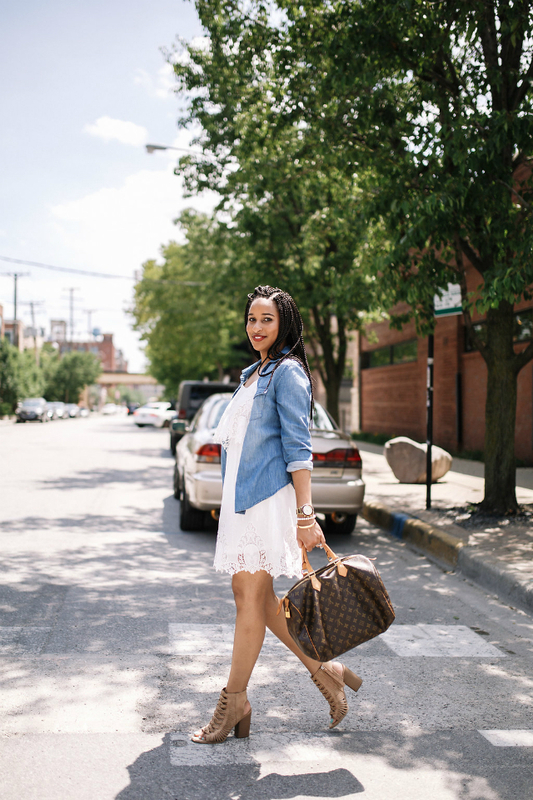 I love adding a jean jacket to transition into fall, but really love how you used a chambray shirt instead! This dress is absolutely gorgeous! Love these pretty photos of you babe! Loving how you styled this dress, this is perfect! Love this dress. 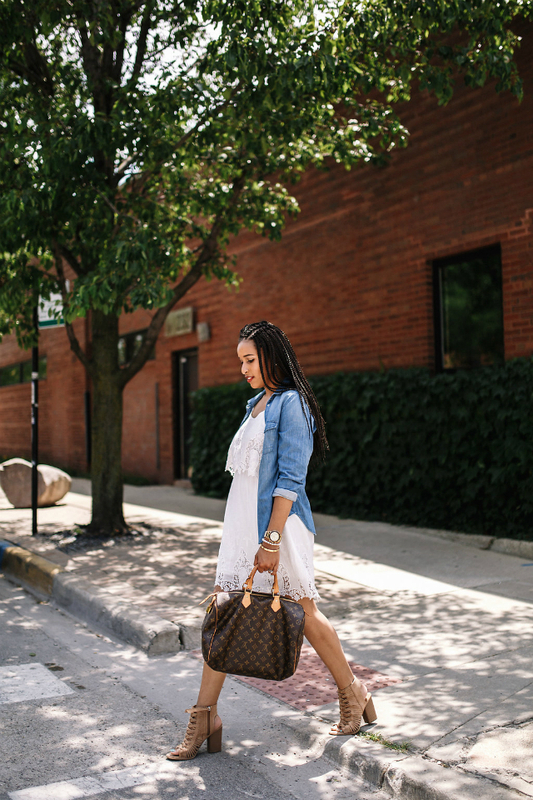 I think a LWD can totally work for all year! 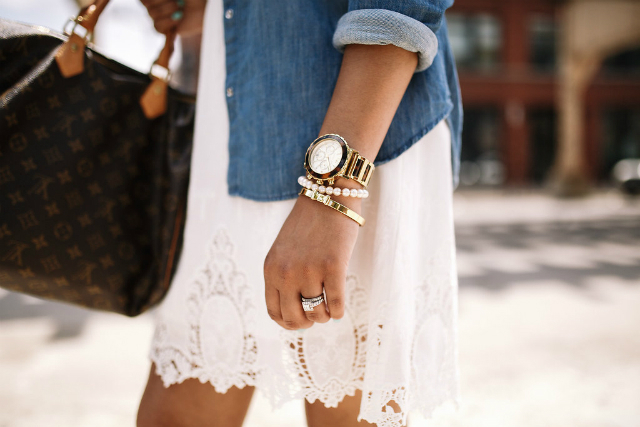 Love that denim jacket, babe! This is such a great transition outfit and these booties are great! Such a pretty lace dress! GREAT tips for transitioning, I feel like here in Miami I'm always trying to dress transitionally haha!